Polished gold steel. Printed and tested! 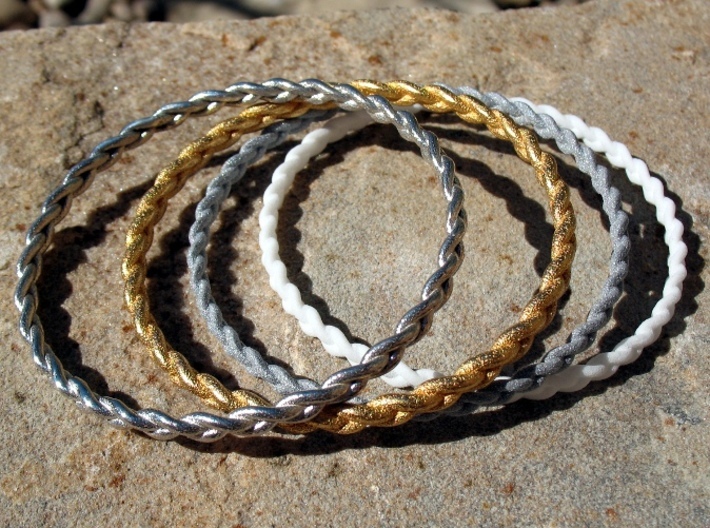 This delicate bangle is created from a smooth three-stranded braid. 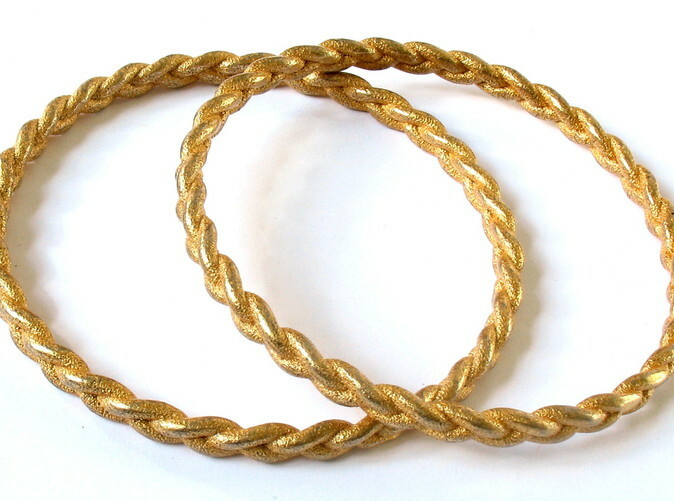 I mathematically deconstructed a braid, and created these bangles. 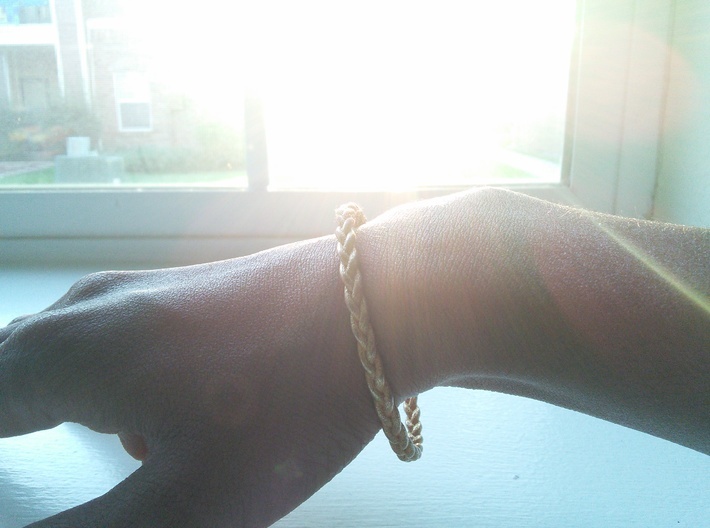 I printed these bangles in polished gold and polished silver, and my wife wears both of them. The gold ones are more delicate than the silver ones, with the gold seemingly easy to wear off of the steel if worn without care. 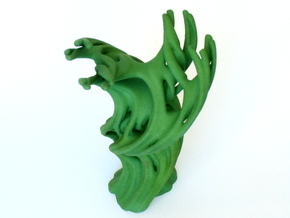 However, this problem is solved if you purchase these 3D printed bangles from our Etsy Shop. 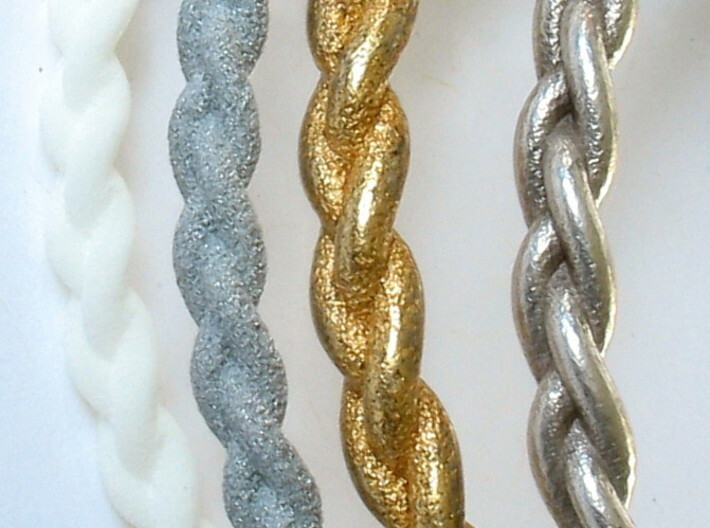 In the Etsy shop, I coat the bangles with a protective acrylic spray, which protects the gold from outside elements. I also ship it in a nice pouch with descriptive scrolls. It is important to me that people have the opportunity to not only appreciate beauty, but be able to create it themselves. 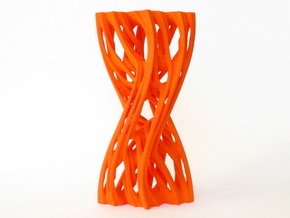 This inspired me to create a free web software for anyone to 3D print their own designs. For example, this bangle can be customized using our new Celtic Knot Creator. Despite the name, the Creator can be used to make all sorts of woven designs, not just Celtic knots. If you are like this design but it's not quite what you're looking for, or if you need a different size, click here to load this design in the Creator. You can resize it, tweak the design, or make something entirely new! 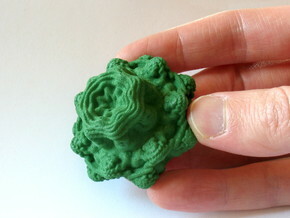 Of course you can always message us here on Shapeways or on Etsy, and we will happily size it for you! 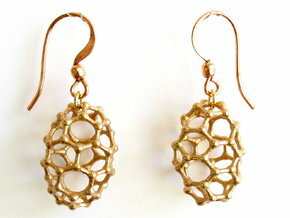 Our Etsy site for this piece can be found at Braid Bangle.